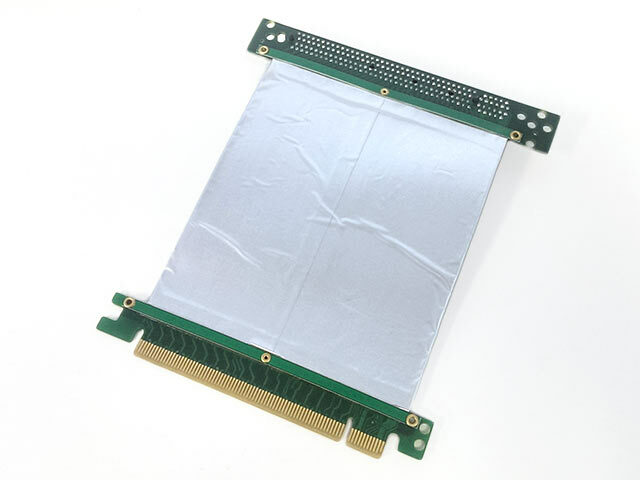 10cm Flexible PCI Express Riser Cable suitable for use in your own projects, model FR10X. PCI Express devices are positioned away from your motherboard. Durable, fully shielded cable. 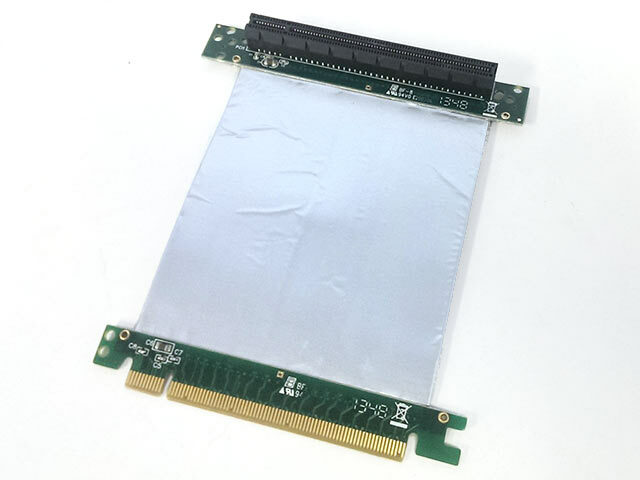 PCI Express x16 compatible. New product - replaces FR07P and FR12P riser cables. 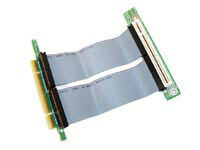 10cm Flexible PCI Riser Cable suitable for use in your own projects, model FR10P. Can be used as a low-cost PCI mounting solution in our C1, C2, C3-RACK chassis. PCI devices are positioned away from your motherboard. 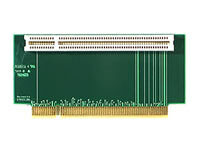 Designed for standard 5V 32-bit PCI devices (as found on all our boards with PCI). Our reverse riser card allows PCI devices to be positioned *over* your Mini-ITX motherboard, ideal for projects where space is at a premium. Dimensions: Height including contact: 49mm; Height without contact: 40.5mm; PCI Slot to center: 34.5mm. 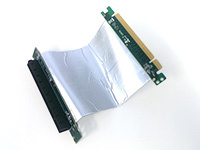 Designed for standard 5V PCI devices (as found on all our boards with PCI).